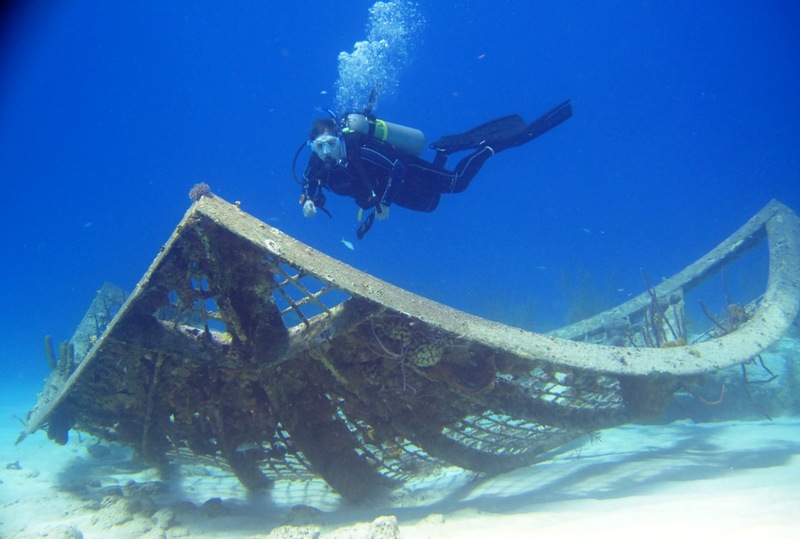 We run a single owner operated boat, aiming to provide the best possible diving experience to a small group of certified divers and personalised scuba diving instruction here in the Turks and Caicos. Our daily Two Tank Dives leave the dock soon after 8.15 am, and we are one of the first boats to arrive at Northwest Point, West Caicos, Sandbore Channel, or French Cay (Dive Sites). Each day’s sites are selected considering both weather conditions and guest preferences, and we aim to ensure that our divers get to experience the best diving by varying destinations as much as possible. The 45 minute to 1 hour journey time allows for the crew to ensure all divers are comfortable with their kit and familiar with our diving procedures, their buoyancy control and share navigation tips, if required. A detailed dive site briefing is provided once we have arrived at our dive site. Buddy pairs are free to explore the reef and wall at their leisure, (with navigation aided by our marker buoys), or to follow the dive guide. Those without buddies team up with the dive guide, and with our small sized dive group, this allows every diver to relax and enjoy each breath of air. After snacks or a light lunch ( on our 3 tank dives), we will dive a second site in the same area, and then chill as we head back to Provo, normally arriving at the dock around 1.30 – 2.00pm. Scheduled for every Thursday, where we have sufficient numbers, our Three Tank Dives allow for small groups (8 or less) of divers, who have already dived at least one day with us, to enjoy a more varied diving itinerary. More distant, possibly deeper, or less visited sites are explored, and using drift dives techniques when appropriate to investigate more of the reef. This is a full days diving, returning to the dock as late as 4.00pm on occasion. 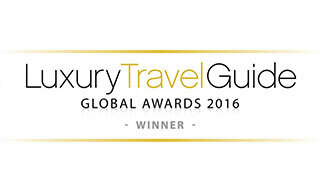 See Do you have any all day trips for our policy. Lunch, snacks, fruit and refreshments are provided. Nitrox is available on all dives, and is complementary on the third dive. A Try Nitrox introduction and supervision is given to those not Nitrox certified. Learn to dive today –A briefing is given which covers the principles of diving, equipment and some basic skills with one of our friendly and experienced instructors. There is then some skill practice at a shallow depth off the boat on a one to one basis designed to help make you feel more comfortable breathing underwater. Once this is complete you then continue on your first of two shallow dives from the boat, within arms reach of your instructor. (Maximum four divers per instructor but normally 2 divers, with a $85 single diver supplement) . Become a certified diver, learning skills to improve confidence and control underwater. Learn the dive theory at your own pace with PADI eLearning, then it’s into the pool (Day 1) to master the skills before moving onto 4 dives from the boat over Days 2 and 3. 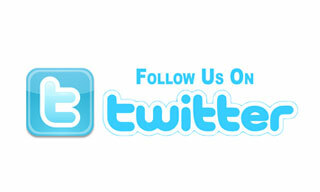 All instruction, course materials, equipment hire, boat dives and all processing fees included. PADI eLearning fee not included. Alternatively, for those with only a few days on island we offer PADI Scuba Diver course. Using the same material as for Open Water this requires less study and only two dives to obtain this certification, which can be upgraded to Open Water at a later time. 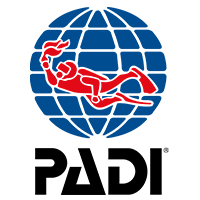 This certification level does restrict the diver to a 40ft (12m) maximum depth and they must always dive with a diving professional. 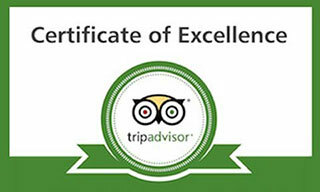 All instruction, course materials, equipment hire, boat dives and all processing fees included. PADI eLearning fee not included. (Allow 2 days on island). For those that have completed all academics and pool work at home and quite sensibly want to complete the open water training dives in Provo’s tropical waters. We are happy to supervise the dives for divers from any training agency using the Universal Referral Program. Includes equipment, instruction and dives. (Allow 2 days on island). For those that have been away from the sport for an extended period and want a refresher, this PADI ReActivate™ program is the perfect way to update your dive skills and knowledge from the PADI Open Water Diver Course before jumping back into the water. Whether you want a few reminders or need to go over the basics, ReActivate is personalized for you: You conveniently review scuba concepts on your tablet, mobile device or computer, then go diving with a PADI Professional where you can practice your skills and enjoy a supervised dive. The best part is, divers who complete both the knowledge and in-water skill refresher receive a replacement certification card with a ReActivated date on it. Not included:The cost of the dives, equipment and PADI fees (currently $59.95 plus applicable taxes). Dive the second dive with Nitrox and experience the benefit of longer bottom times. No tests to take, just listen as the instructor explains the principles and benefits of Nitrox diving and assists you in analyzing your tank. This cost will be credited to your Nitrox certification if you go on to to complete the course with us. Dive and equipment not included in price. The potential for longer bottom times provided by Nitrox, combined with the simplicity of modern dive computers, have made diving with Nitrox more accessible than ever before. Easy self study; either with a manual or PADI eLearning, a simple quiz, analyze 2 Nitrox tanks before your next dive under the supervision of an instructor, and you are a certified Nitrox diver! Course includes instructor review, 2 Nitrox tanks and PADI registration fee. Dives not required. PADI eLearning fee of $175 not included. Improve your dive skills and knowledge, whilst enjoying Provo’s excellent diving – no exams and no pool time – achieve your Advanced Open Water Certification with 5 dives over either 2 or 3 days. Self-study can be completed at home with PADI eLearning or pool side with a manual. 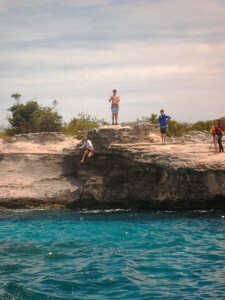 The course requires a Deep Dive and an Underwater Navigation Dive, then a choice of three from a list of adventure dives. We recommend the Peak Performance Buoyancy Dive, whilst the Underwater Digital Photography Dive can help capture those memories and introduce you to a new life long obsession! 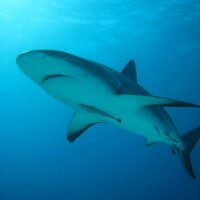 Alternatively, for the shark lovers amongst you, increase your knowledge with an AWARE Shark Conservation Dive. All instruction, additional course materials, equipment hire, Nitrox gas if required, boat dives and all processing fees included. Slate, camera if required,and PADI eLearning fee not included. 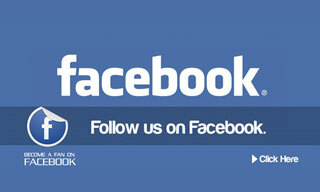 ( Single Student supplement $75 for 2 day course and $150 for 3 day course). Why not come and take your AWARE Shark Conservation Diver certification with Aqua TCI and our certified instructors – not only do you learn all about Sharks but Aqua TCI also donates some of the certification fee to Project AWARE….win win for both you and the environment !!!! The course includes your 2 dives, equipment, all processing fees, the on line manual and a donation to Project AWARE. Gain your certification from the author of the course, learn some new skills and help the local ecosystem. The course includes your 2 dives, equipment, Nitrox for the second dive and all processing fees, manual and a donation to the TCI Reef Fund. * For more details on all our Specialty courses, Rescue Diver Training, Dive Master and Assistant Instructor Programs, please contact us. If you have divers and non divers in your party, want the flexibility to plan your day or just want some privacy then a Private Charter is a great option. Our Full Day Private Charters allow for you to choose how many dives you want to do – 1, 2 or even 3 wall dives or maybe drift diving. Other options include a Private Guide, Resort Experience for those in your party not yet certified, snorkeling, cliff jumping or even visiting some historical ruins. The full day Private Charter is exceptional value starting at $1500.00 per day for up to 4 divers on a 2 tank dive, with additional divers charged at $110.00 per person. All these figures are subject to 12% government tax. Included in our prices are: All equipment rental, lunch, snacks and refreshments. Getting together a group of divers for multiple days diving? Want your own private boat and a flexible schedule? Then our group option may be for you. We will ensure that you, the group leader gets to enjoy your vacation by taking care of the equipment, storage, diving and transportation to and from the boat for you. If you have students with you that is also not a problem, we will just need a copy of your instructor insurance naming Aqua Tci as an additional insured. Give us a call or drop us an email to discuss further and don’t forget to check out our News Page, where any valid specials are shown. Note: from 1 November 2014 some of the diving prices below will be subject 12% tax. Dive packages are available for multi day diving when pre booked before arriving on island – please contact us to inquire. Gear Rental $30.00 per day for BCD, regulator, computer, wet suit, mask, fins & snorkel. One item $10.00 per day. $40.00 per day for 2 tank dives. Pictures uploaded to One Drive. 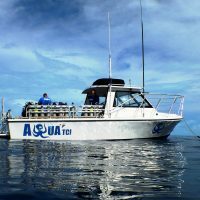 Private Guide $200.00 and upwards for a 2 tank dive in addition to the charge for the dive. * Please review our Cancellation policy. Our boat Aquatic Safaris ii is a 29ft (10m) Island Hopper, custom built dive boat. She has a nice wide beam which makes for a comfortable and spacious dive deck. The boat is fully equipped with a marine head, fresh water rinse down shower, dry storage area, camera rinse tank, first-aid kit, emergency oxygen, a 15 man life float, EPIRB, life vests and other relevant safety equipment. Also, a tag line, 15ft hang bar, hookah regulator (emergency air) and two large dive ladders to make exit from the water as easy as possible. Bill Wallwork is a PADI IDC Staff Instructor, SSI Dive Control Specialist Instructor and a licensed TCI Boat Master, who has been diving for 20 years and lived and dived on Provo since 2008. Bill has a degree in Business Studies and a long history in the motor industry including running a Lexus dealership before he gave it all up to dive professionally. Having learned to dive in the English Channel, Bill experienced warm water diving in places such as Truuk Lagoon, Bora Bora, Egypt, Maldives, Mexico and Kenya to name but a few, and found he liked it! Having worked in Cyprus as a dive instructor he moved to Phi Phi, Thailand where he was the dive operations manager, before moving to Provo. 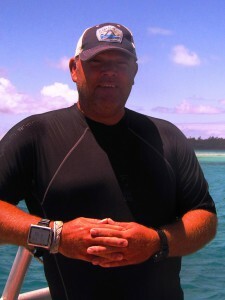 Bill has been diving on Provo since 2008 and is the co-founder of Aqua Tci. Bill has a knack of finding cool small stuff! His favourite sea creature? Turtles! 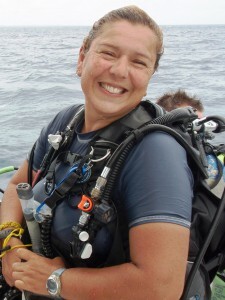 Stephanie Wallwork is a PADI IDC Staff Instructor, DAN Instructor, IAHD (International Association of Handicapped Divers) Instructor and a licensed TCI Boat Master, who has been diving for 20 years and lived and dived on Provo since 2008. 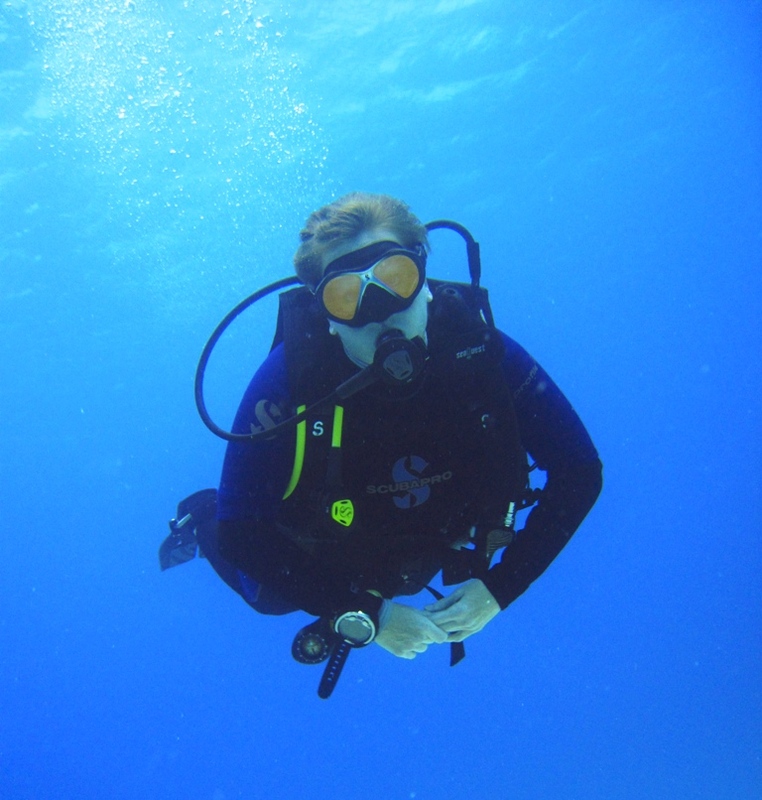 Stephanie has a degree in Geography and is a CTA (Chartered Tax Advisor) who was an International Tax Director and ran her own business, before the siren call of scuba diving took over her life completely! She also learned to dive in the English Channel and experienced some great diving in places such as Galapagos, Palau, the Cenotes of Mexico, Great White diving in Australia and New Zealand to name but a few, and being a water baby found her “home”! Having worked in Cyprus as a dive instructor she moved to a private island off Andros in the Bahamas where she was the dive and watersports manager, before moving to Provo. 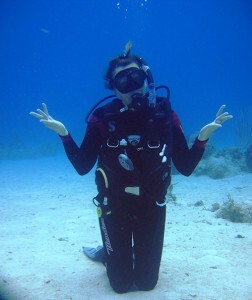 Stephanie has been diving on Provo since 2008 and is the co-founder of Aqua Tci. She is also the creator of the PADI Invasive Lionfish Tracker Specialty. Her favourite sea creature? Sharks!! !